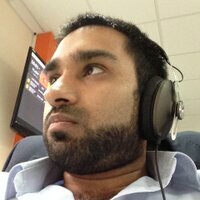 I'm a London-based developer, currently studying software engineering. I'm a ScrumMaster, but I believe in abstracting ideas to see what works best for teams. No team is ever the same, and I am focused on helping teams produce maximum value. In my spare time I write PHP/Angular JS/Go based web applications as well as entertain deep discussions about software patterns and architures - a book by Martin Fowler is always within reach! I'm a maintainer of 'BearBot', and IRC bot residing on multiple IRC networks, providing fun functionality and have released a few themes for the Textual IRC client on OS X. I've also recently started to get my hands dirty in Swift. I'm currently writing a small library for Monzo, a bank, using their APIs. In my spare time, I'm learning functional programming with Scala simply because I recognise that the different paradigms enable for a unique advantages.. but it always forces me to think in a completely new way. Stepping away from the computer, I am learning new (human) languages, enjoy reading and weight lifting. Oh, and by the way, did I mention that I love flying? An overview of a pattern that literally has one job: is this true or false? How I applied criteria to Doctrine collections before or after loading data.